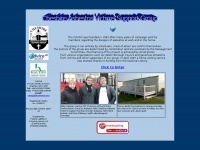 Cheshire Asbestos Victims Support Group - Helping victims and their families of Asbestos related illnesses. Keywords: Cheshire Asbestos Victims Support Group Cavsg Ship Building Construction Railways Heavy Industry Plants and Maintenance Asbestosis Pleural Thickening Plaques Mesothelioma Lung Cancer Pneumoconiosis. A profile of Cavsg.co.uk was found on the social network Twitter. The web server used by Cavsg.co.uk is located near the city of Fort Lauderdale, USA and is run by InternetNamesForBusiness.com. There are many websites run by this web server. The operator uses this server for many hosting clients. In total there are at least 2,289 websites on this server. The language of these websites is mostly english.